How to signup for a free Zalyn account? 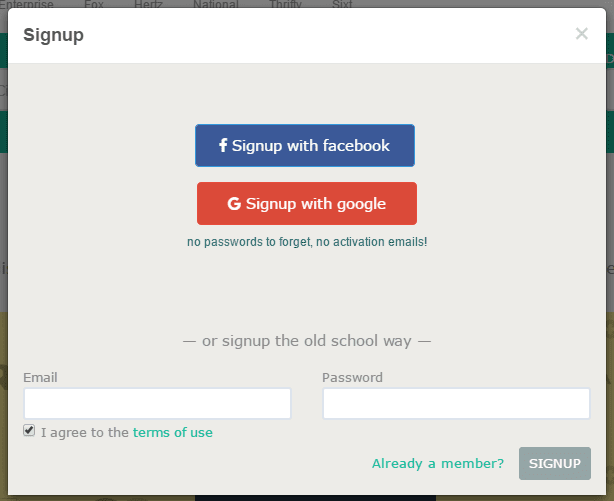 Click on the Signup link at the top right corner and you'll notice two ways to signup for an account. OAuth is an authentication protocol that allows users to approve application to act on their behalf without sharing their password. 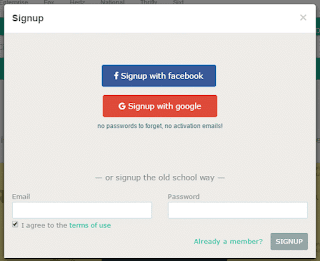 Zalyn supports OAuth-based login using your Google and Facebook account. OAuth is easy, secure and you have one less password to remember. You can also signup using your email address and a password for your Zalyn.com account. An email is sent to your email account for verification. After you click the link in the email, the account verification is complete and your account is created. Once your account is created, you'll be prompted to setup your profile by providing some basic information (like selecting a display name for your account).